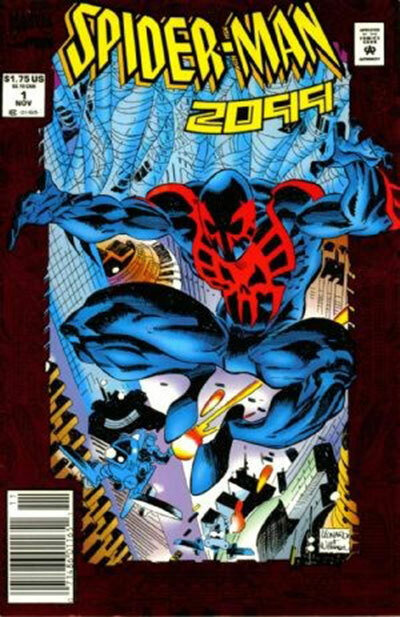 Spider-Man 2099 is a fictional character, a comic book superhero created by Peter David and Rick Leonardi in 1992 for Marvel Comics' Marvel 2099 line. 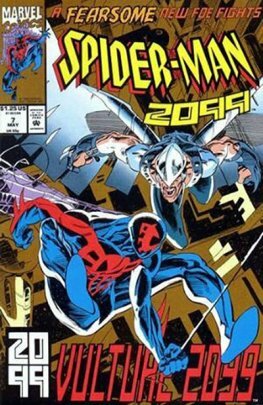 His secret alter ego is Miguel O'Hara, a brilliant geneticist living in New York in the year 2099 A.D. who is attempting to recreate the abilities of the original Spider-Man in other people and later suffers a related accident that causes half his DNA to be re-written with a spider's genetic code. 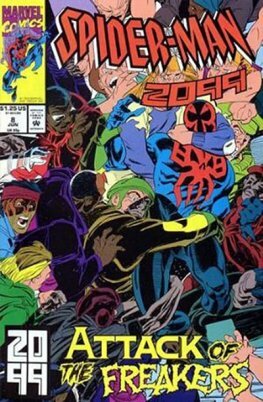 O'Hara is the first Latino character to assume the identity of Spider-Man.